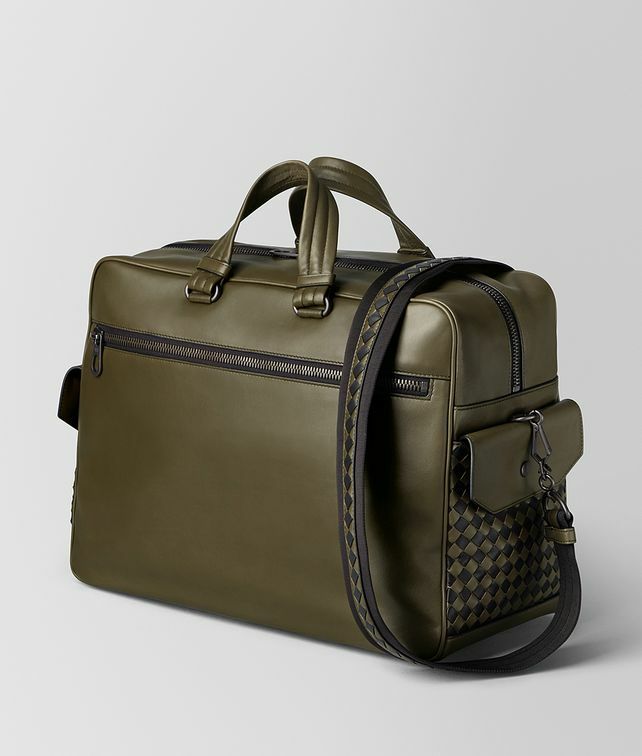 This compact duffle, called The Major, is a new style made with the Intrecciato Checker workmanship in ultra-supple Butter Calf leather. Used minimally on the sides and the strap, the graphic contrast weave makes a discreet and modern statement. Designed with function at the fore, the bag features external zipped pockets on the front and back, external lateral pockets with a snap-button closure as well as an internal zipped pocket and double smartphone holder. Finished with padded leather handles and a detachable shoulder strap. Height: 29.5 cm | 11.6"